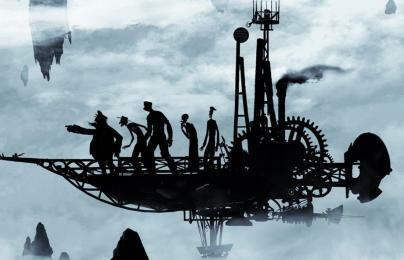 For my Fantasy Building Project I chose one completely different (even for me) in that it is mainly viewed as a silhouette. 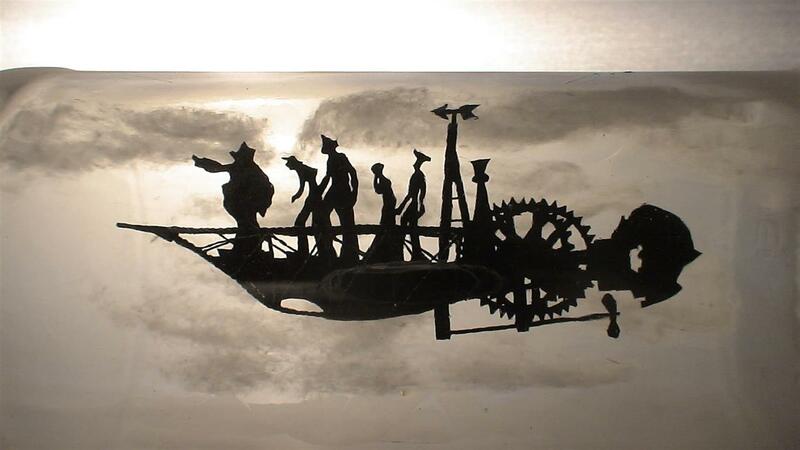 It is semi- 3 dimensional but meant to be viewed as a silhouette. The image I used for the project came from the Internet. 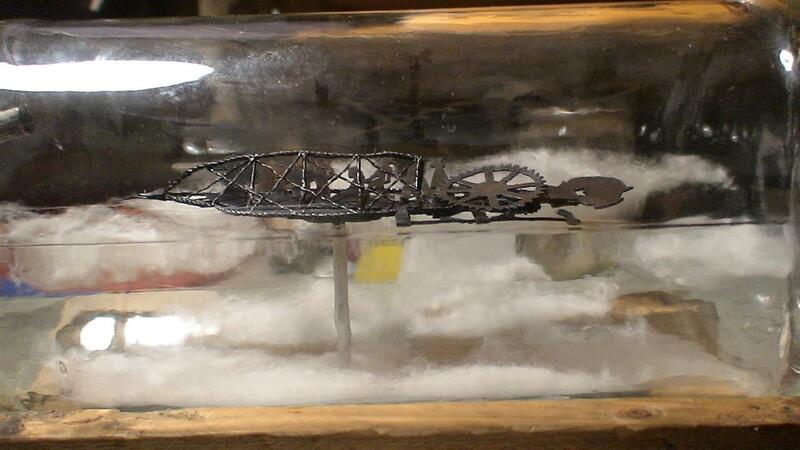 The bottle is a liquor bottle 11 3/4 '' tall , 3 1/2 wide with a 3/4 inch neck opening. 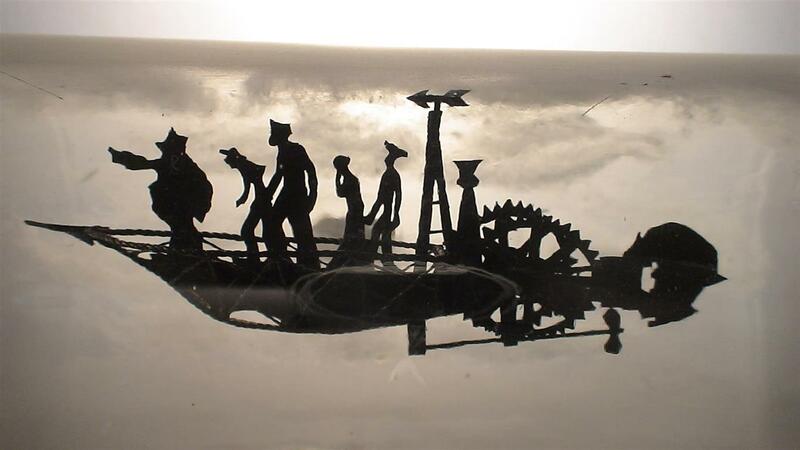 It is constructed from stiff paper bond, the railings and ship structure is made of string that I 'stiffened' with glue and simply cut and glued pieces. The two pictures below shows the bottle before it gets frosted. 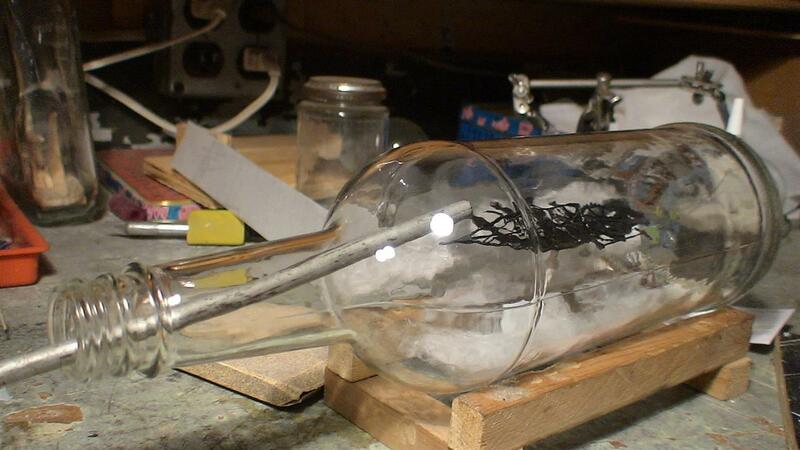 The picture shows an air tube I used to blow air through the bottle to help the glue dry faster. 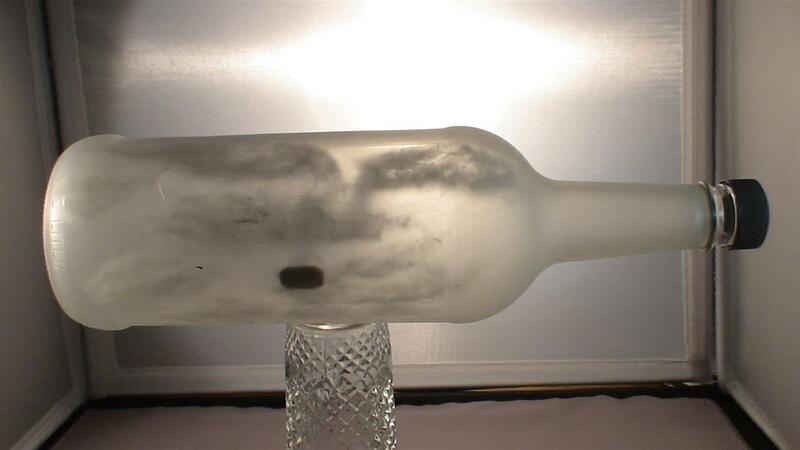 The clouds inside of the bottle are cotton, the outside of the bottle is 'sand blasted' to give it the frosted effect. 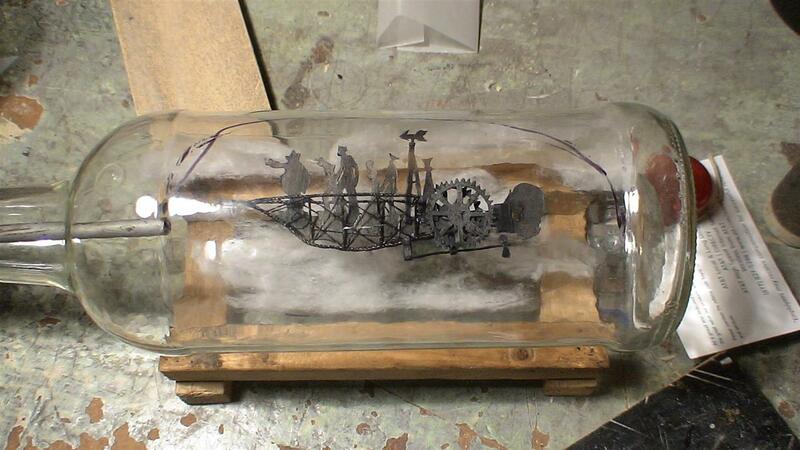 On the back side of the bottle I tried to etch more clouds, a 1/2 moon and some small mountain tops at the bottom. There's only one good side to this bottle. The other views are for effect. It looks good with light coming from behind. This is a technique I am sure to use again.